You will earn 428.00 bonus points. ? Inspire sweet dreams with a cozy queen platform bed. 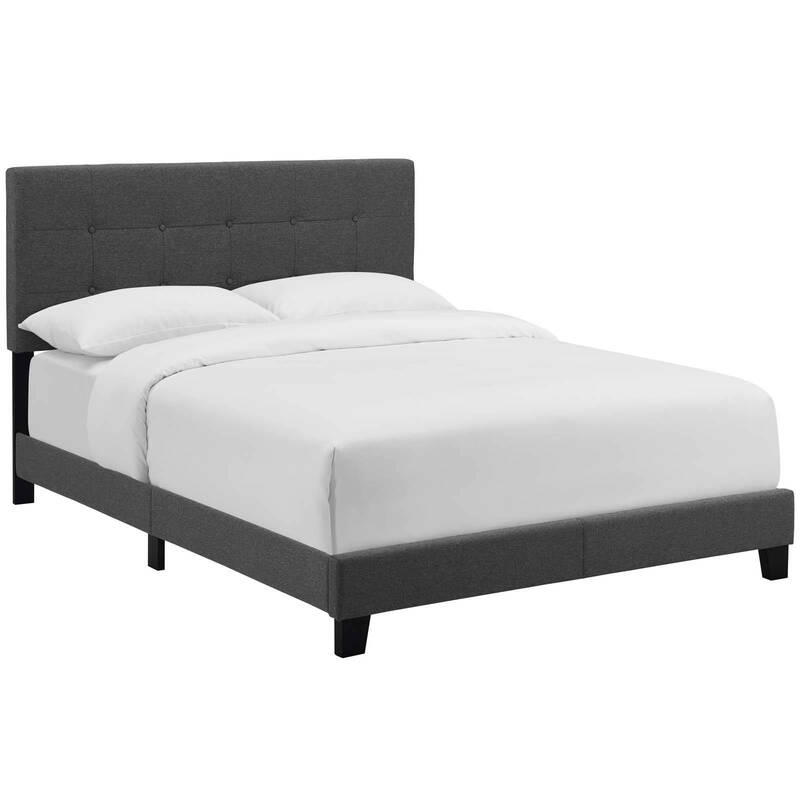 Designed with chic elegance and contemporary style, Amira comes with a soft polyester fabric upholstered base, timeless button-tufted headboard, and wood bed frame and legs, with non-marking foot caps. Complete with a reinforced center beam for maximum stability, Amira accommodates memory foam, spring, latex, and hybrid mattresses. 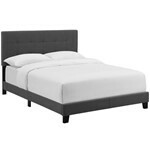 A sleek and sophisticated centerpiece to the master bedroom or guest suite, this modern bed effortlessly transforms your bedroom decor with its luxe look. Box spring required (not included).